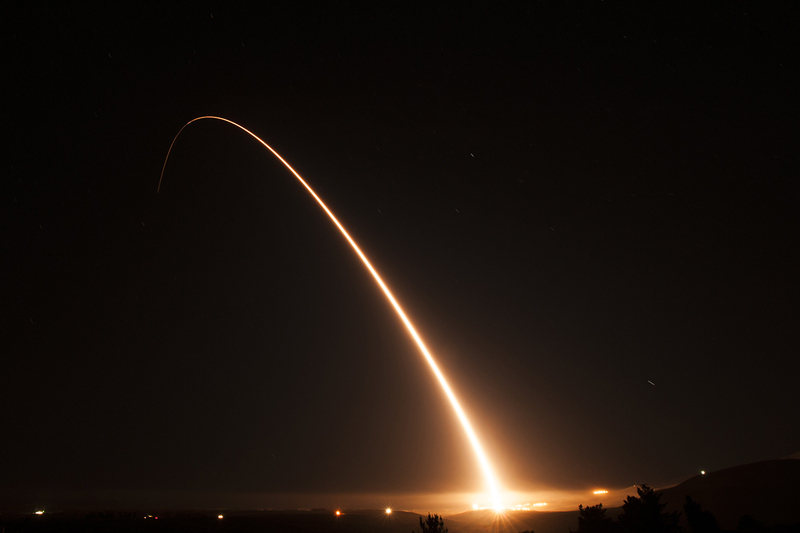 WASHINGTON — U.S. lawmakers have drawn battle lines over whether full nuclear modernization is worth the cost, and now they’re gathering ammunition. As the Republican-led Senate and Democratic-led House prepare competing versions of the annual defense policy bill, they’ve been soliciting expert testimony to build their arguments on one of the key defense budget fights to come: How much nuclear modernization does America need? Citing a $1.2 trillion Congressional Budget Office estimate, House Armed Services Committee Chairman Adam Smith, D-Wash., supports nuclear modernization but argues that America can spend less and still deter its foes. He’s also opposed to the Obama-era Long-Range Standoff Weapon and the Trump administration’s low-yield W76-2 warhead. He has also called for America to adopt a no-first-use policy for nuclear arms. Smith hosted a March 6 hearing with outside experts at which Bruce Blair, a former U.S. missile-launch officer and now a nuclear security expert at Princeton University, said the nation could maintain “a fully adequate deterrent threat” with a monad of five Ohio-class nuclear-powered submarines — rather than the established triad of submarines, bombers and intercontinental ballistic missiles. The focus, he said, should be on repairing dangerous vulnerabilities in nuclear command-and-control infrastructure. “There’s concern that the president who has only about five minutes under current strategy to make a decision on whether and how to retaliate to an attack — five minutes [in which he] may have to rely on information that has been corrupted,” Blair said. But the hearing also highlighted intra-party divisions Smith may have to confront as his committee drafts its version of the fiscal 2020 National Defense Authorization Act. During the hearing, Virginia Democratic Rep. Elaine Luria, who served as a nuclear-trained Navy surface warfare officer and represents defense industry-heavy Hampton Roads, said the panel needs to be “steadfast in its support for maintaining and modernizing the [entire] nuclear triad.” She called it “dangerous to allow someone to come before this committee and suggest the United States should reduce or completely eliminate its stockpile." “To suggest that other countries will follow suit out of the goodness of their heart — in fact, I think we’ve seen the opposite in the last 10 years,” Luria said. In recent weeks, Senate Armed Services Committee Chairman Jim Inhofe, R-Okla., and other nuclear modernization advocates have diligently elicited public support from at least four flag officers to modernize the nuclear triad of ICBMs, submarines and bombers. Inhofe spelled out his game plan at a Feb. 28 hearing on nuclear policy. In multiple hearings so far this year, Inhofe has pointed to Russian and Chinese efforts to develop their own nuclear triads, and suggested the U.S. has neglected its own aging arsenal. How right he is depends on who you ask. The U.S. isn’t on track to begin fielding replacements for its Cold War-era triad until the mid- to late 2020s, while Russia will have modernized nearly all of its bombers, land-based missiles and submarines by 2021, according to Peter Huessy, a defense consultant and nuclear expert with the Mitchell Institute for Aerospace Studies. China is expected to have a fully modernized and expanded nuclear deterrent with mobile ICBMs, a new missile-armed submarine and long-range cruise missiles by the end of the next decade. Kingston Reif, a nuclear policy expert with the Arms Control Association, acknowledged that other nuclear-armed states, notably Russia and China, are upgrading their arsenals and have tested, produced and deployed more brand-new weapons than the United States over the past decade or so. However, he added, the American nuclear arsenal remains unrivaled. “[T]his does not mean the United States has fallen behind. The U.S. military has refurbished and improved nearly all of its existing strategic and tactical delivery systems and many of the warheads they carry to last well beyond their planned service life,” Reif said in an email to Defense News. “Though decades old, these forces are more capable than the originals." At a separate hearing, Inhofe asked the chief of U.S. European Command to respond to the idea that “we’ve been guilty, I think, for a long period of time in not addressing our nuclear modernization,” while Russia and China were developing their own triads. Both Fischer and Inhofe had U.S. Cyber Command chief Gen. Paul Nakasone during a Feb. 14 hearing affirm that cyber capabilities are no substitute for a nuclear arsenal. Then a month later, Fischer also asked Gen. Joseph Dunford, the Joint Chiefs chairman and top uniformed officer under President Donald Trump and President Barack Obama, whether he found “this idea of direct substitution unwise.” That, in turn, elicited a reply in full support of nuclear modernization and the triad.